Photo: A poster honouring Amal (5), placed on her bed. 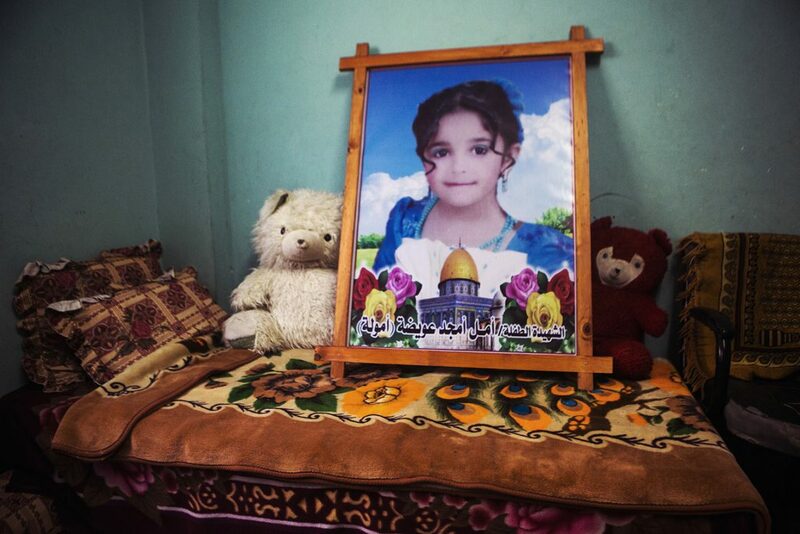 She was killed together with her brother Mohammed (13) in an Israeli attack. They were on the roof, feeding birds. The family had left the house for the weekend during which the Israeli army implemented the ‘Hannibal directive’. They returned only 15 minutes before the attack on their house took place. “I wanted to have a last look at her but people told me ‘there is no Amal’. Her head was scattered everywhere,” explains Tahrir, Amal and Mohammed’s mother. Photo: Tahrir holding her five year-old-daughter Dima. 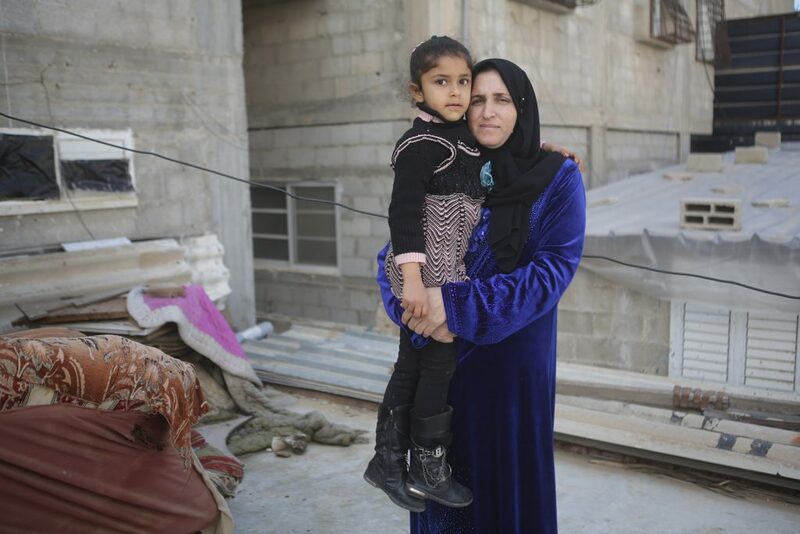 She is standing on the roof, where Amal and Mohammed were killed.